Berkery Noyes Represents Salem Press, Inc. In Its Sale Agreement With EBSCO Publishing, Inc. - Berkery, Noyes & Co., LLC. Berkery Noyes Represents Salem Press, Inc. 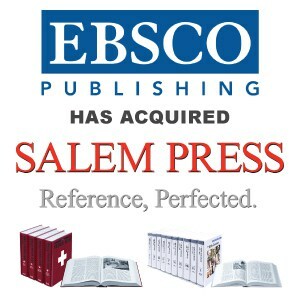 In Its Sale Agreement With EBSCO Publishing, Inc.
Sale provides liquidity to selling shareholders, opportunities for buyer to capitalize on valuable franchise and continue to fuel and augment the success that Salem Press is experiencing. NEW YORK, January 26, 2009 — Berkery Noyes announced today that the firm represented Salem Press, Inc. in its sale agreement with EBSCO Publishing, Inc. The deal is expected to close January 30th. Terms of the transaction, were not disclosed. “This is an excellent combination with EBSCO Publishing partnering with a high quality and winning information franchise,” said Tom O’Connor, the Berkery Noyes Managing Director who managed the transaction on behalf of Salem Press. “Salem Press a world class brand in the reference publishing sector that is partnering with a leading database producer creating a win for both parties,” O’Connor added. Berkery Noyes has been involved with many of the most notable transactions in the information, media and technology sectors involving both financial and strategic buyers and sellers. Berkery Noyes acted as Salem Press’s exclusive financial advisor in its negotiations with EBSCO Publishing. About Berkery Noyes: Berkery Noyes provides strategic mergers and acquisitions transaction advisory services, financial consulting and strategic research to middle-market information, media and technology companies in the United States and internationally. For more information, visit www.berkerynoyes.com. About Salem Press, Inc.: Since 1949, Salem Press has been the publisher of reference works on literature, history and biography, the social sciences and the sciences suitable for adult and young adult readers spanning all educational venues. Reference materials are both printed and electronic. The company distributes its work to college, school and public libraries. www.salempress.com. About EBSCO Publishing, Inc.: EBSCO Publishing is the world’s premier database aggregator, offering a suite of nearly 300 full-text and secondary research databases. Through a library of tens of thousands of full-text journals, magazines, books, monographs, reports and various other publication types from renowned publishers, EBSCO serves the content needs of all researchers (Academic, Medical, K-12, Public Library, Corporate, Government, etc.). EBSCO Publishing is a division of EBSCO Industries Inc., one of the largest privately held companies in the United States.